Who is your favorite Disney character? 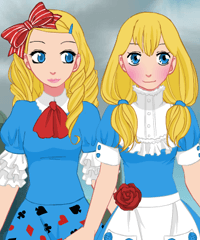 And can you find a dress-up game featuring your favorite Disney princess or Disney character? I'm sure you can because there are plenty of games with plenty of Disney characters here. You can dress up powerful Elsa from Frozen - who even has her own category with Frozen games - and you can dress up sweet Snow White, and of course all the other beloved princesses! And just like I do when I choose games for all the other categories, I only choose games that portrays the characters in a positive and respectful ways. If you find a game that you think should not be on Dress Up Games please report it.